The giant Tony Llama boot outside Great Western Clothing Company at 4465 Broadway . The fiberglass boot measures 84.5 inches tall. A similar Tony Llama boot is 15 inches tall. The ratio is 1:5.63 inches from original to the model. 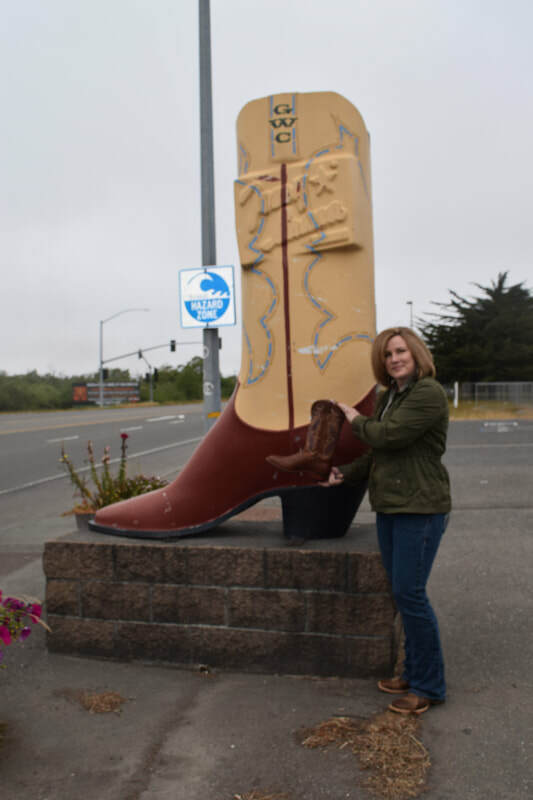 Special thanks to Crystal McBride at Great Western for allowing me to measure the boots and posing with the boots too.